This kit converts a 1995 (EO) and newer 3-cylinder 25/35 Evinrude® or Johnson® manual start outboard to tiller electric start with regulated 12-amp battery charging. To avoid accidentally starting engine while servicing, twist and remove all spark plug leads. Installation of this kit involves procedures described in detail in the Service Manual. Remove air silencer and starboard motor cover. Disconnect the 2-pin Amphenol connector (A). 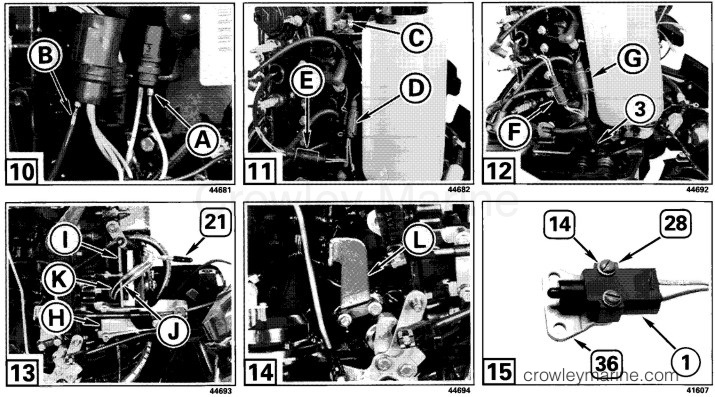 Disconnect the 4-pin connector (B) at the ignition module and remove tie strap (C). Remove manual starter, flywheel, and stator assembly. Discard stator assembly and flywheel nut. Install stator assembly (9). Apply Nut Lock to threads of mounting screws and torque to 84-106 in. lbs. (9-12 Nm). Route stator round connector (D) forward. Latch 4-pin connector (E) into ignition module. Disconnect ignition module to engine harness 4-pin Amphenol connector (F). Remove and save ground screw and lock washer (G). Remove black ground wires. Apply Screw Lock to two screws (23) and install stator connector bracket (38) with finger facing down and to starboard. Torque screws to 36-60 in. lbs. (4-6 Nm). Route the rectifier/regulator 3-bullet connectors (5) over and down behind the throttle cam and shaft (H). Position the rectifier/regulator on crankcase and secure with two screws (31). Torque screws to 60-84 in. lbs. (7-9 Nm). Push stator to rectifier/regulator connector together until latched and install on bracket. Remove the red/tan stripe wire (A) from terminal "A" of the 2-socket plug. Remove the black wire pin (B) from terminal "B" of the 4-pin receptacle. Remove the oil tank upper bracket screw (C). Remove retainers and disconnect oil tank 3-pin connector (D) and temperature switch 2-pin connector (E). Remove and discard engine harness. Route the tan wire, white/black wire, and fuse connector end of the new engine harness (3) forward then under the oil tank bracket and between the lower part of the oil tank and cylinder block. Push the white/black wire 2-pin connector (F) together. Push the 3-pin connector (G) together. Secure with retainers. Route the engine harness purple wire and red wire down and under the throttle and shift anchor bracket (H) and up behind the fuel pump heat shield (I). connect engine harness and rectifier purple wire (J) and red wire (K) bullet connectors together. Place cap (21) on rectifier gray wire bullet connector. 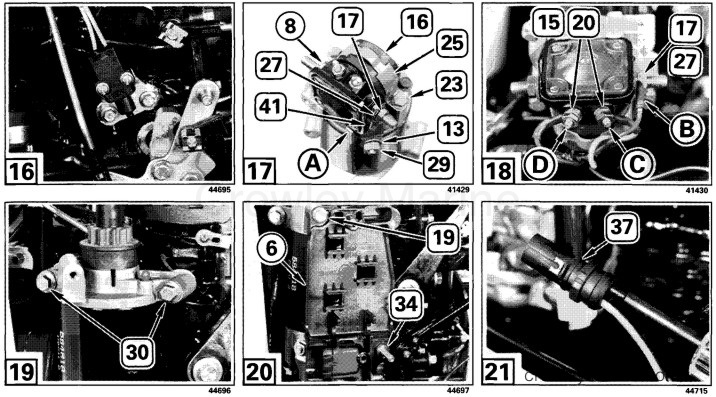 Remove and discard full advance stop (L). Save mounting screws. Secure neutral start switch (1) to switch bracket (36) using two washers (14) and screws (28). Secure switch and bracket assembly to cylinder block using screws saved. Torque to 60-84 in. lbs. (7-9 Nm). Slide solenoid sleeve (16) on starter solenoid (8). 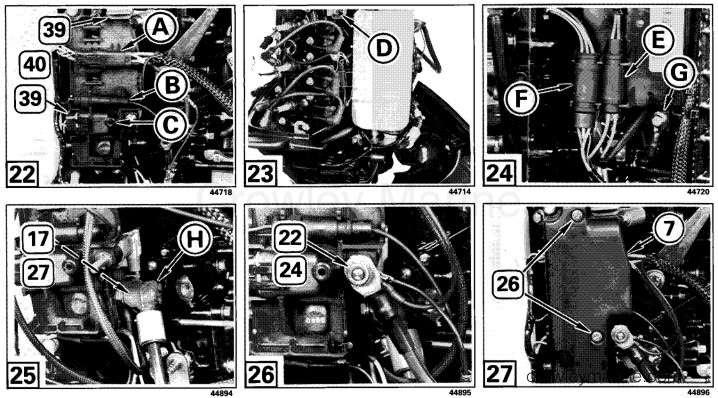 Position solenoid against bosses (A) on starter. Secure starter solenoid clamp (25) with screws (23). Install bus bar (41) between starter and solenoid. Secure bus bar to starter using lock washer (13) and nut (29). Secure bus bar to solenoid using one lock washer (27) and nut (17). Large red wire (B) - lock washer (27) and nut (17). Control terminal (C) - yellow/red wire, lock washer (20) and nut (15). 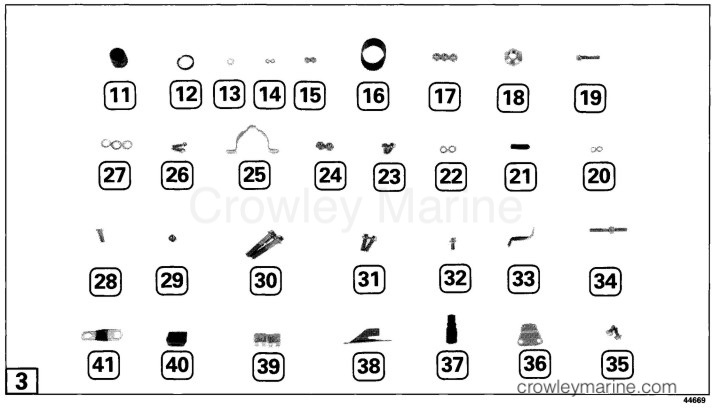 Control terminal (D) - black wire, lock washer (20), and nut (15). Apply Black Neoprene Dip to small terminals. Secure starter assembly with screws (30). Apply Nut Lock to threads, and torque screws to 15-17 ft. lbs. (20-23 Nm). 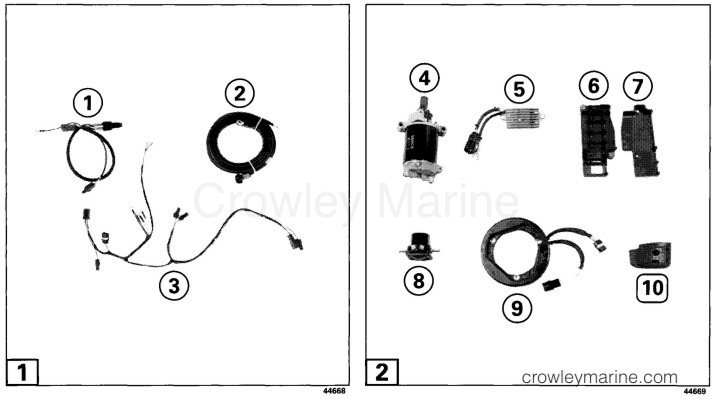 Install electrical bracket (6) onto starter with screw (19) and double-ended bolt (34). Tighten securely. Route both black emergency stop switch wires to starboard side of powerhead. Install black wire pin into 1-pin connector (37). Spare fuse holder (40) and spare fuse (39). 6-pin engine harness connector (A) to cable key switch connector. Single pin engine harness connector (B) to stop switch connector. Install fuse (39) in wiring harness socket and push fuse socket (C) into electrical bracket. Route engine harness between the electrical bracket and oil tank. 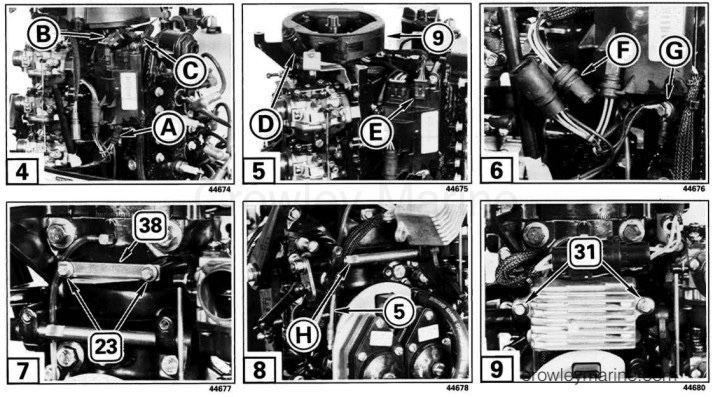 Position engine harness between oil tank and cylinder head. Secure oil tank bracket with screw (D). Tighten securely. Install flywheel using new nut (18) and manual starter. Install socket of ignition module red wire in terminal "A" of 2-socket plug (E). Connect 2-pin wiring harness plug to 2-pin warning system harness receptacle. Install connector in electrical bracket. Connect 4-pin ignition module plug to 4-pin wiring harness receptacle (F). Install flat side of connector against electrical bracket. Reconnect ground wire with lock washers and screw saved (G). Install red battery cable to large terminal of solenoid. Secure with one lock washer (27) and nut (17). Red cover (H) of positive wire must cover solenoid terminal. Secure three black harness wires to the ground stud with lock washer (22) and nut (24). Install the black battery cable with lock washer (22) and nut (24). Tighten securely. Secure electrical bracket cover (7) with screws (26). Tighten securely. Route battery cable and key switch harness along starboard side of lower motor cover. Install clamp (33) and screw (32) to retain cables against lower motor cover. Remove and discard key switch grommet. Slide spacer (12) on key switch barrel. Position flat surface of key switch barrel up and install in tiller handle bracket. Secure with nut (11). Key switch and safety switch cable in round hole (A). Battery cables in lower elongated hole (B). Throttle cable in top hole (C). Shift link in lower round hole (D). Install air silencer and spark plug leads. Connect battery cables to battery. See Operator's Manual for battery recommendations. Insert key in ignition switch. Turn key to START position. Motor should crank. Shift into FORWARD gear while motor is cranking. Motor should stop cranking as shift lever leaves NEUTRAL. Shift into REVERSE gear while motor is cranking. Motor should stop cranking as shift lever leaves NEUTRAL. If the motor cranks in either FORWARD or REVERSE gear, check neutral start switch. repair before operating boat. 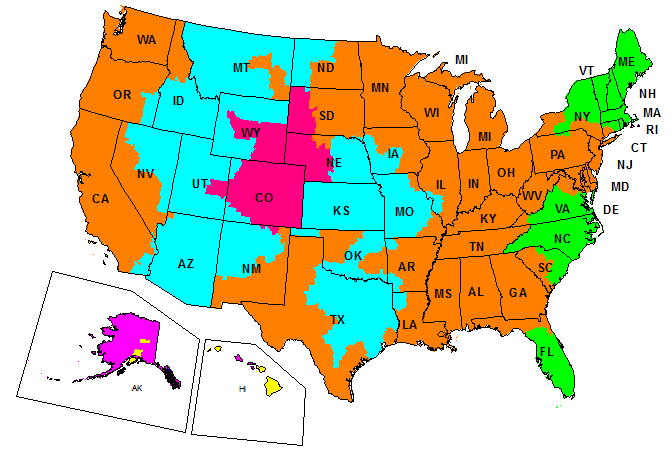 See service manual for synchronization and linkage adjustments. Launch boat in water or connect flushing adapter to motor. Attach lanyard to the emergency stop switch. start motor, then stop motor by pulling lanyard. If motor does not stop, correct problem before operating boat. Start and stop motor with key switch. If motor does not stop, check connections to key switch "M" terminals.